Those in town for Super Bowl LIII will benefit from a compact and walkable campus located in Downtown Atlanta’s premiere entertainment district, Centennial Park District. Proof: check out our printable neighborhood walking map. 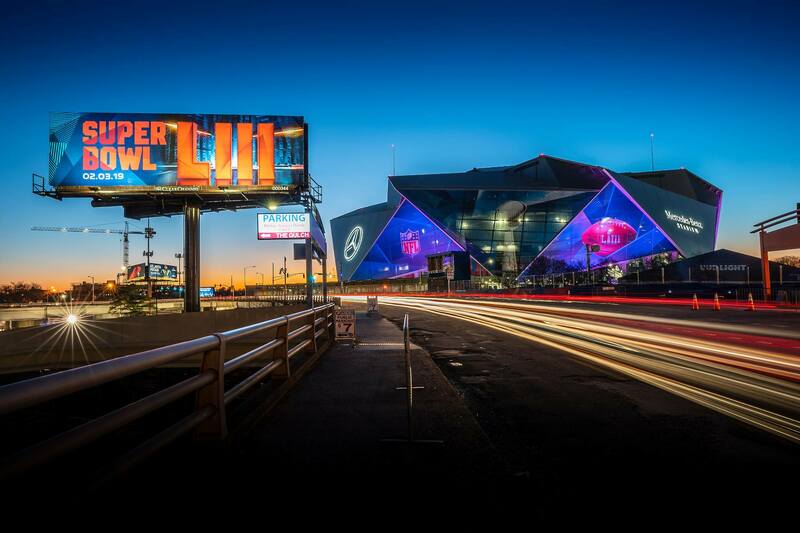 Between Super Bowl LIVE, Super Bowl Experience, and the big game itself, you’ll love getting to explore the neighborhood’s only-in-Atlanta attractions, tours, and local watering holes. For official information about sanctioned NFL events and Know Before You Go information, visit ATLSuperBowl53.com. Here are our recommendations of must-dos before you fly home (or go back to reality, if you’re a local on a staycation). Named the “best first thing to do in Atlanta,” get to know our city on an ATL-Cruzers electric car or Segway tour led by a local expert. Visit the Fountain of Rings and the new Spectacular in Centennial Olympic Park (while you're there for Super Bowl LIVE, of course). Sample soft drinks from around the globe at Word of Coca-Cola. Snap an endless number of pictures in Ocean Voyager at Georgia Aquarium. Bonus: Pro tips for planning your visit during a busy week. Take SkyView, the Ferris wheel, for a spin to drink in some ATL views. Run, jump, and fly at the Children’s Museum of Atlanta’s exhibit focused on play and physical activity (plus a ton of other activities geared toward little ones). Explore the American civil rights movement and the modern global human rights movement at the National Center for Civil and Human Rights. Leave inspired and committed to action. Bonus: Free admission January 28 through the end of February, thanks to The Coca-Cola Foundation. Go behind the scenes of CNN during a CNN Studio Tour, followed by a quick snack in the newly renovated CNN Center Food Court and Atrium. Feel that surge of team pride at the College Football Hall of Fame, the ultimate stop for football fans. Bonus: A special exhibit on display to celebrate the big game. Fuel your itinerary at one of the District’s many locally-owned restaurants, from nitrogen ice cream and craft beer to barbecue and sizzling steaks. Bonus: Our menu guide to help you decide where to dine. Ready? Set? Have fun, and welcome to Atlanta!